This column is dedicated to providing the history of and updates on the American Society for Metabolic and Bariatric Surgery State Chapters. 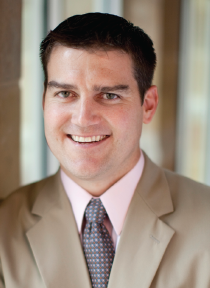 Dr. Seger is a bariatric surgeon at the Bariatric Medical Institute of Texas, PLLC, San Antonio, Texas. Dr. Carpenter is Clinical Assistance Professor of Surgery, Texas A&M University Health Science Center, College Station, Texas Baylor Scott & White Health, Temple, Texas. Ms. Stroup is from Houston Methodist Willowbrook Hospital, Houston Texas. Dr. Peterson is Associate Professor of Surgery, UT Health San Antonio, San Antonio, Texas. Disclosures: Drs. Seger and Peterson and Ms. Stroup report no conflicts of interest relevant to the content of this article. Dr. Carpenter is a site reviewer for the American Society for Metabolic and Bariatric Surgery (ASMBS)/American College of Surgeons (ACS) Metabolic and Bariatric Surgery Accreditation and Quality Improvement Program (MBSAQIP). The Texas Association for Bariatric Surgery (TABS) was established in 2005 to be a resource for physicians, bariatric surgeons, and weight loss surgery patients. Texas is one of the first four states that initiated its own chapter prior to the creation of a nationwide call by the American Society for Metabolic and Bariatric Surgery (ASMBS) to have representation of all states. TABS officially became the Texas state chapter of the ASMBS in 2011. TABS blossomed under the leadership of its first President, Dr. Lloyd Stegemann, The Better Weigh Center, Corpus Christi, Texas, who served in that capacity for two years. Based on the success of that model, TABS presidents are elected by their peers to a two-year term. In addition, integrated health is well represented in the state chapter and has its own president and officers. The state chapter maintains a list of support groups throughout the state and has led several patient conferences. Advocacy has been a top priority for our state chapter this year. Chapter leadership worked closely with state representatives and senators to introduce a bill that would lead to increased access to care in this year’s legislative session. Senate bill 756 and its mirror bill in the House (HB3560) made significant headway. Drs. Michael V. “Mickey” Seger, BMI of Texas, San Antonio, Texas, and Richard Peterson, University of Texas Health Science Center, San Antonio, made their way to the capital in Austin to testify on behalf of this legislation. A version of the bill was passed in the Texas House but unfortunately fell short in the Senate. We are now working to set up meetings with stakeholders in the legislature and on the insurance side to make some progress in the interim. Given our success in creating awareness this year, we are hopeful to make significant progress in the months ahead. 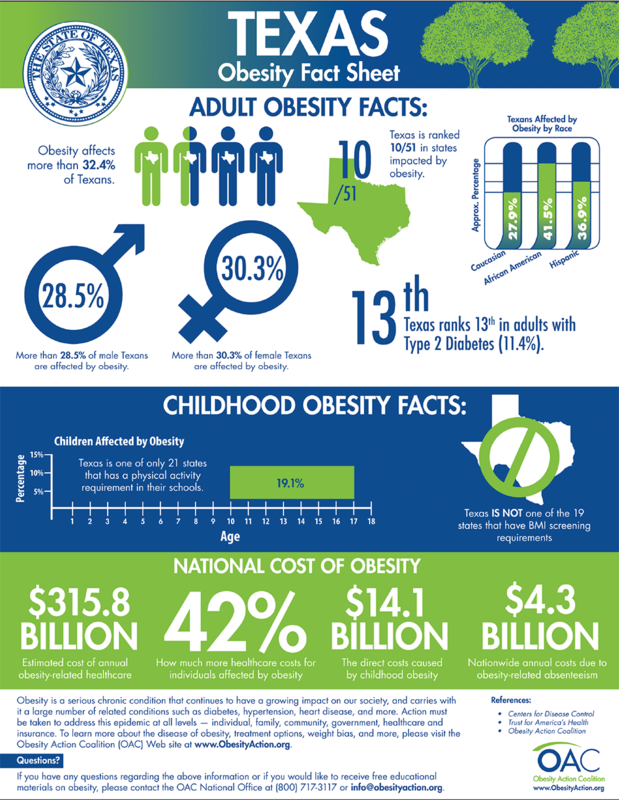 We plan to introduce a collaborative piece of legislation in the next session, one that would improve access to obesity care for all Texans. The biggest activity for TABS each year is our annual meeting. The 2017 Annual TABS meeting was held January 27 to 28, 2017, at the Hilton Anatole in Dallas, Texas. The weekend offered multidisciplinary networking opportunities in addition to a broad range of educational offerings with a target audience that included surgeons, physicians, integrated health providers, clinical staff, practice management, industry stakeholders, and patients. Friday began with a sold-out, daylong formal Certified Bariatric Nurse (CBN) review course through partnership of the TABS Allied Health Counsel and the ASMBS. Candidates interacted with a diverse faculty, offering both regional and national renown as they honed their clinical expertise. 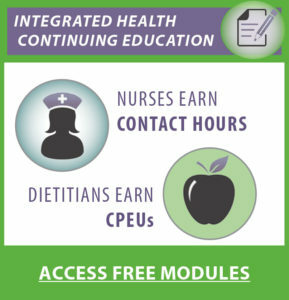 A full eight hours of bariatric specific continuing medical education (CME) credits were offered through the ASMBS on Saturday with the goal of meeting our members’ annual requirements as per the ASMBS Metabolic and Bariatric Surgery Accreditation and Quality Improvement Program (MBSAQIP) standards. As an added benefit, attendees were eligible to claim a full hour of required Texas Ethics CME credit on provider burnout and team-based support. Sessions included regional/state/national advocacy efforts, Dr. Seger’s presidential address detailing opportunities for action during the 2017 Texas legislative session, a well-received case-based bariatric risk management panel discussion, diverse emerging technologies/techniques, a lively panel discussion on patient-centric revisional interventions, and a keynote address by Dr. Eric DeMaria, Bon Secours General Surgery at St. Marys, Richmond, Virginia, detailing lessons learned from the ASMBS closed claims registry. Our executive teams are working to further improve the impact of TABS across all potential stakeholders. This includes scheduling the 2018 meeting to facilitate greater involvement of students, residents, and clinical fellows from across the state for years to come. Our next meeting will take place February 9 to 10, 2018, in Austin, Texas. TABS collaborated with the ASMBS to offer a Certified Bariatric Nurse (CBN) Review Course prior to our 2017 Annual Meeting. The concept of a CBN Review Course was first spurred by TABS allied health members who requested an opportunity to participate on a higher professional level in the specialty of bariatric surgery. TABS allied health board members quickly assembled to discuss partnering with ASMBS committees to build course content. The first review course sponsored by ASMBS and TABS took place in January 2017. This eight-hour, one-day course was designed as an overview of the clinical domains within the CBN exam. TABS members presented extended content, reviewing those areas of the CBN exam where individuals expressed the need for further explanation and rationale to better understand and deliver comprehensive care to bariatric patients. TABS membership estimated and prepared for 25 attendees; the final attendance result was 38 registrants. It was through mutual collaboration by this endeavor that both ASMBS and TABS organizations increased national and Texas state-level memberships.